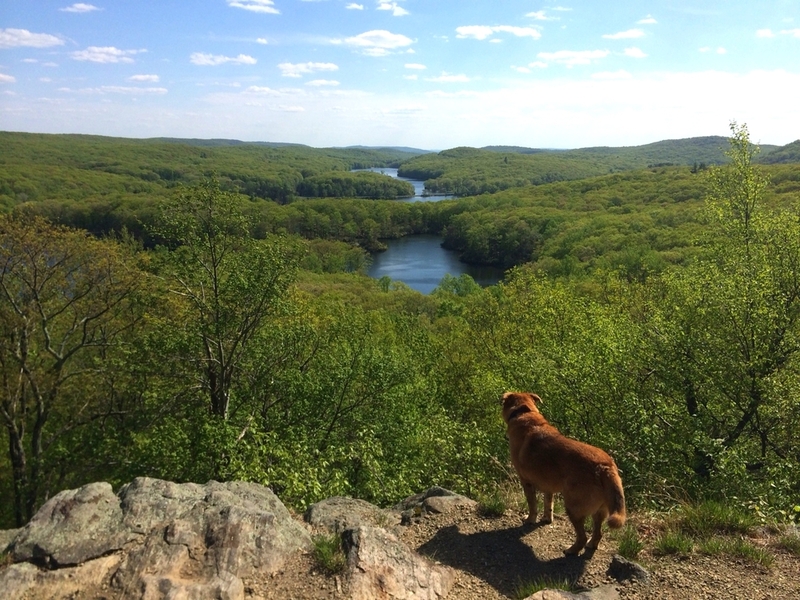 There are many great trails in Harriman State Park but this is one of our favorites because it has opportunities to enjoy fresh water, beautiful scenic views, and moderate climbs and descents. The hike starts on the teal-blazed Long Path (LP) from the northeastern edge of Lake Skannatati. About a mile into the hike, the LP crosses the yellow-blazed Dunning Trail. 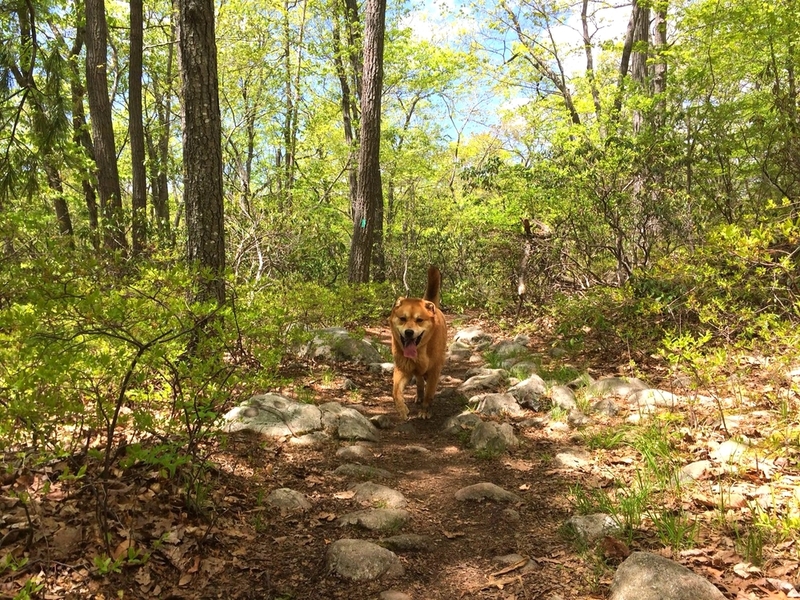 Bear left and continue on the yellow trail for about another mile until you come across a red-dot-on-white-blazed Ramapo-Dunderberg Trail (R-D). This trail marker is easy to miss. If you start to descend, you have walked too far. Turn right onto the R-D and continue north, hiking over bald rock faces, and taking in breathtaking views. Bear right and continue on the R-D to Times Square – an intersection where four trails meet. Continue through the intersection following the red-triangular-blazed Arden-Surebridge Trail (A-SB). This trail will take you back to the Lake Skannatati parking lot.